Turn signals, brake lights, and dash lights all depend on the electrical and lighting system of your vehicle. When things start working irregularly, or stop working altogether, it’s time to have a professional run some diagnostics. At Glenn’s Auto Repair we deliver high quality, affordable service each and every time we service your vehicle. A few of the reasons an electrical system fails include improper fitting pins, broken switches, loose wiring, and problematic connections. Wires can jolt loose during a rough drive, or during impact if an accident occurs. Your vehicle wiring could already be loose if you’ve purchased a car second hand, and the electrical system wasn’t properly maintained or diagnosed before the sale. There’s also the regular wear and tear that a vehicle takes over time, which is why your wiring should be included in a yearly tune-up to keep your vehicle running smoothly. It’s crucial to receive regular maintenance on your electrical and lighting system to keep your vehicle in working order and stay safe on the streets. At Glenn’s Auto Repair, we believe that every circuit is as important as the next when it comes to your vehicle’s internal wiring. To keep our clients safe and driving, we seek out shorts, check for faulty wiring harnesses, look at connections, check out the brightness of your headlights, solder wires if necessary, as well as various other internal fixes to provide high-quality, long term solutions at affordable prices. Your lighting system is obviously very in tune with the electrical system. Without electricity your headlights, internal lights, and even dash lights won’t work. This includes turn signals, brake lights, and reverse lights. If these lights aren’t properly functioning, not only could it mean bigger and costlier problems in the future, but it could also cause an accident while you’re driving. At Glenn’s Auto Repair, our number one concern is our client’s safety, which is why our experienced mechanics provide thorough service every time we work on your vehicle. For more information on Glenn’s Auto Repair, Electrical and Lighting repair, as well as our many other vehicle services, contact us today. 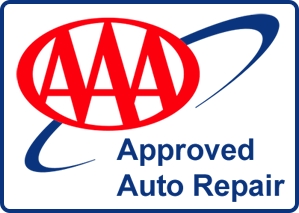 Our friendly team is always happy to hear from new and existing clients, and can schedule you an appointment with a certified mechanic at your convenience.